If you have ever watched a tennis match, you know the players work incredibly hard over the course of the match. While there are obvious physical benefits, perhaps you have wondered what other benefits there are to gain. In today’s post, we will look at some of the benefits of tennis and how you can pick up this phenomenal sport. 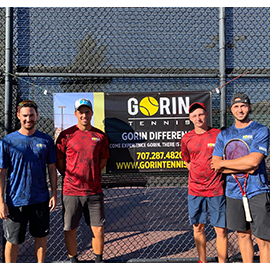 Contact Gorin Tennis Academy today in Granite Bay to learn about the camps and courses we offer. Whether you are interested in picking up the game of tennis for recreational enjoyment or competitive satisfaction, there is something to be gained by everyone. Tennis improves your aerobic capacity while lowering your resting heart rate and blood pressure. You will discover that you have improved metabolic function and a lower body fat as well as improved muscle tone and strength. Even if you aren’t trying to be the next Venus or Serena Williams, you will discover that your body is working very hard during each practice round or match. One thing that you can look forward to is watching your reaction times improve as your mind and body become more in shape and in tune with the game. One great aspect of tennis is that it is suitable for all ages and skill levels. There is no reason for you to feel embarrassed when you walk on the court if you are a true beginner. You will always be able to find someone of your ability to play with, and as a result, will improve the overall quality of both of your games. You have the option to play singles or doubles which means that you will be able to meet more people over time. A singles match is for two people and a doubles match is for two pairs of players. Aging should never be a reason to give up the game at it is not dependent on youth or strength as some other sports are. Tennis is a game to enjoy your whole life. Unlike more traditional physical activities such as running, swimming, or cycling, tennis challenges your mind. This is not to say that there isn’t a mental aspect to these other activities, but they lack the tactical aspect found in a tennis match. It is this technical piece of the game that keeps your mind engaged while your body is getting an amazing workout. With short-term goals of getting to the ball in time and placing it where you want, tennis rewards your brain with many small challenges throughout the match. Oftentimes, we hear athletes talk about how a particularly hard workout helped them to get rid of some negative emotions they were dealing with prior to their workout. If you haven’t experienced this particular benefit of tennis, then you have to try it today! When we exercise, our brains release endorphins which cause us to feel really good. Endorphins will help to improve your mood, as well as release any stress that you may be dealing with. Together, these factors provide an overall feeling of well being and satisfaction. 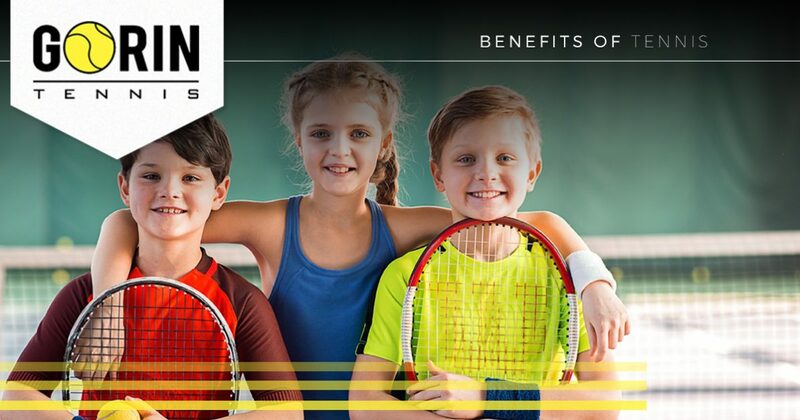 At Gorin Tennis Academy, we see the benefits of tennis every day in our student-athletes. We want to share this with as many people as possible which is why we offer a variety of after-school programs and tennis clubs. Contact us in Granite Bay to learn more about what we offer and for a tour of our facilities.